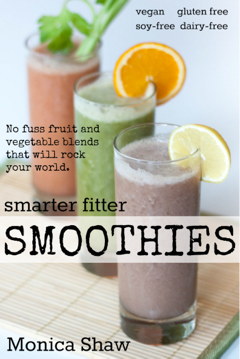 Breakfast smoothies are super handy for people who don’t have time in the morning for a leisurely sit-down breakfast. This is particularly true for those of us who do high intensity exercise before work, where breakfast nutrition is crucial but time is of the essence. 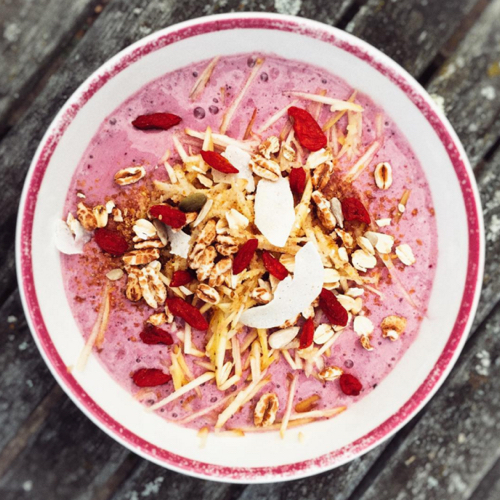 For this very reason I’ve been fine-tuning a breakfast smoothie that takes just a few minutes to make, contains all the best nutrients, and will keep you going until lunchtime without any sugar crashes. One of the best slow burning carbohydrates known to man! Oats contain beta-glucans, a type of soluble fibre that slows down the absorption of carbohydrates into the bloodstream. This slower digestion prevents dramatic spikes in blood sugar and insulin levels that would otherwise encourage our bodies to produce and store fat. Yay oats! How many oats? Add 40-80g depending on your size. After a workout your body needs protein to repair damaged muscles, so I like to amp mine up with a bit of high quality whey protein powder. The MaxiNutrition Gen-P Protein Powder is a whey protein blend specifically designed for after high-intensity training. If you’re after vegan protein powder, I recommend organic hemp protein or organic pea protein. How much protein powder? Add 20-30 grams, about a scoop of protein powder. Nuts and seeds provide slow burning, nutrient-dense fats to help keep you going throughout the day. I almost always add flax seeds plus cashews, pecans, or walnuts. Other options include chia seeds, pumpkin seeds, brazil nuts, hazelnuts… really any nut or seed so pick your favourite! How many nuts and seeds? And a handful of nuts and a heaped tablespoon of seeds. How much fruit? One portion size of fruit as outlined above. You can just use water but the addition of whole milk or nut milk adds extra nutrients and makes for a richer yummier flavour. Avoid using fruit juices. If you have a cold-press juicer, juiced vegetables such as beetroot, carrots, cucumber, and celery are great in smoothies. How much liquid? Enough to blend to get your desired consistency. I like my smoothies pretty thick, so usually about 100-200ml of liquid depending on how juicy the other ingredients are. How much veg? About a handful of cut up vegetables. How many herbs and spices? A small 1cm piece of fresh ginger, a handful of fresh mint leaves, or a good pinch of spices. 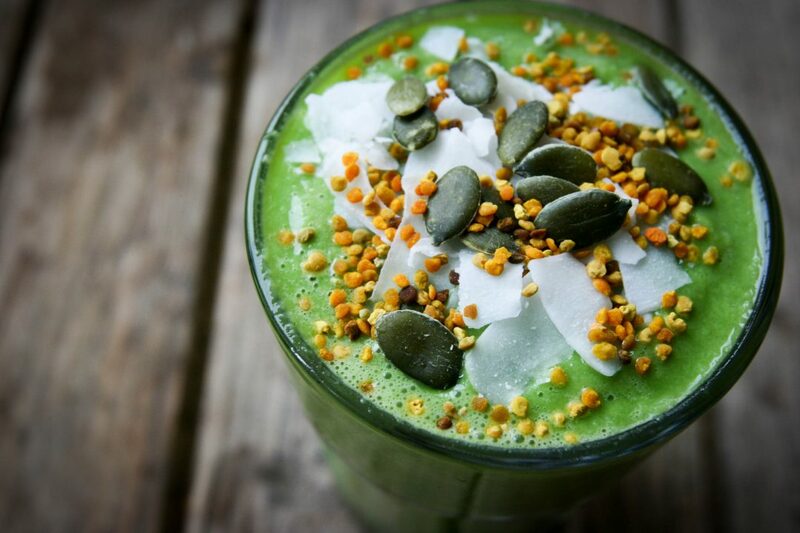 All that’s really left to do is to put everything in your blender and blitz away! Any other breakfast smoothie fans out there? What other ingredients do you like to add? What is your ultimate recipe? Please share in the comments!